Healthy Sandwich On A Bagel With Ham, Cheese And Vegetables. Top View. Royalty Free Stok Fotoğraf, Resimler, Görseller Ve Stok Fotoğrafçılık. Image 46293015. Stok Fotoğraf - Healthy sandwich on a bagel with ham, cheese and vegetables. Top view. 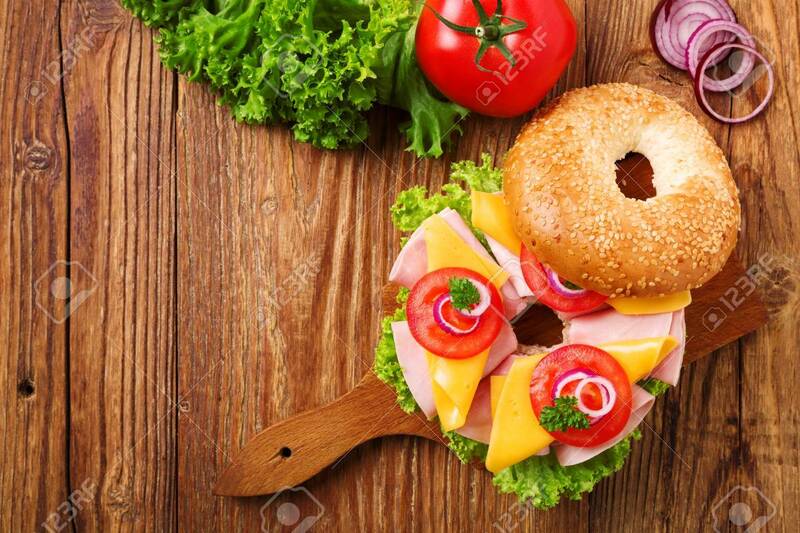 Healthy sandwich on a bagel with ham, cheese and vegetables. Top view.